Walt Disney has released the first full-length trailer for the upcoming live-action “Lion King” movie, which is expected to smash box office records with an all-star cast. 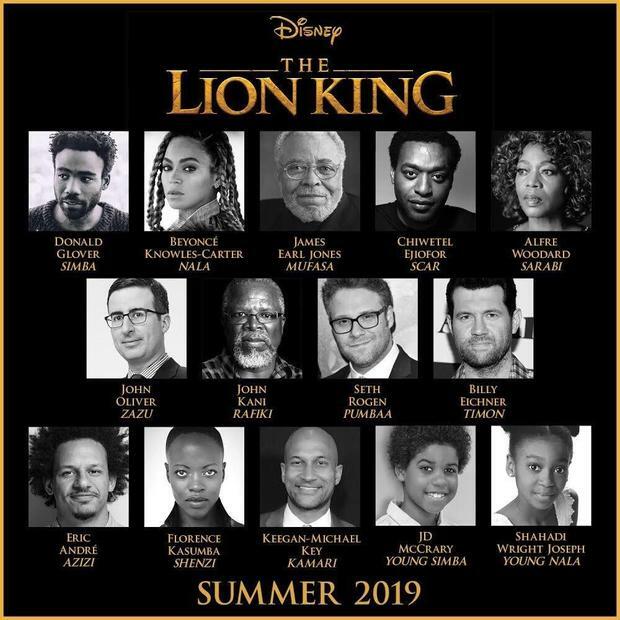 Some of the all-star cast includes Donald Glover as Simba, Beyoncé Knowles-Carter as Nala, James Earl Jones as Mufasa, Chiwetel Ejiofor as Scar, Seth Rogen as Pumbaa and Billy Eichner as Timon. The movie will be out in theatres on July 19, 2019. In May, the studio will release a live-action version of Aladdin, and it plans to release a remake of Mulan in 2020. Disney is also using its upcoming streaming service to release such film with a live-action version of Lady and the Tramp.